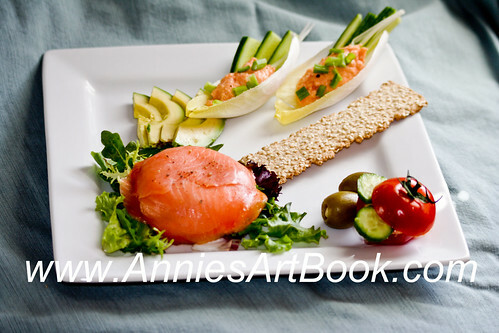 Annie's Art Book- Food: Dinning in with style! I love going out to dinner. Of course I have favorite places, but I like trying new things as well, but I've noticed I'm less "adventurous" when the kids are with us. 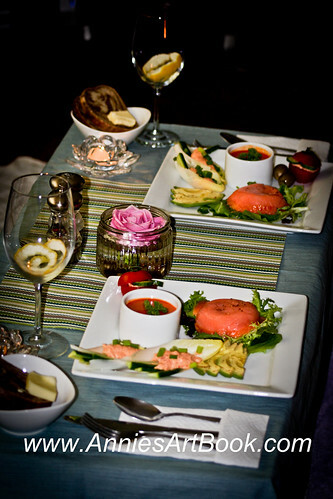 So, dinner dates are perfect time to find out some awesome hidden gems that otherwise we would have missed and I am always looking forward to them. I have to admit that it's a bit of hit and miss with the quality of the food and often we do not go back to places we've visited just to give them a try. But that's OK. We've found plenty of excellent places around that deserve a second, third etc. visit. However, going out is a great, great idea, when you can actually do it. Most of the time everything works out as we planned. Sometimes though, things are not exactly falling into place. Like for example, your two kids suddenly getting sick. 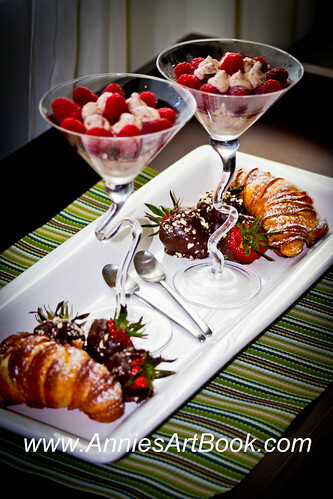 We could have pushed things a little and we could have gone out, but honestly, since my semester is over ( and the new one starting VERY soon), I was dying to prepare something fancy at home. Therefore, we took it a sign and my sweetheart and I decided to stay in. Since the venue was all set, I moved on to the menu. By now you know I'm a sucker for fish, so the menu was entirely fish, except the dessert of course. Then again, I had this excellent Pouilly-Fuissé chilling in the fridge for the past month, waiting for the opportunity to be enjoyed with some succulent seafood, so I really had no choice, you see. - wild rice mushroom risotto served on a giant portobello. So, a blanket and a couple of pillows on the ground, a small coffee table, a movie and you're good to go. Staying is is not as bad as you might think, just a little creativity and a good company and you'll have be best "night in" ever.